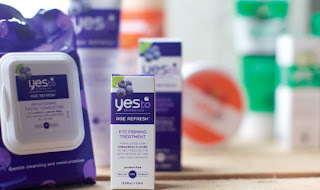 $11.25 for $35 Worth of Natural Skin & Hair Products from Yes To! Here's another great Plum District deal you can get today! Use the code sweetsaturday to score $35 worth of natural skin and hair products from Yes To for only $11.25! Yes To has an extensive line of moisturizers, make-up removers, facial cleansers, masks, and more - all that are made with organic fruits and vegetables.